At the far end of our wide hall, where the X-Ray room was situated in the old hospital days, is located our newest feature of the Art and Culture Centre – our intimate and brightly lit Mini Gallery. 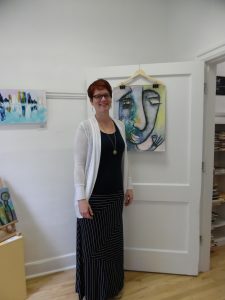 Here, visitors can find displays of smaller works of art or up-and-coming artists stepping out with their first solo show in a relaxed and informal setting. Shows change monthly.